A rich set of single board computer products fall into the non-standards-based category. 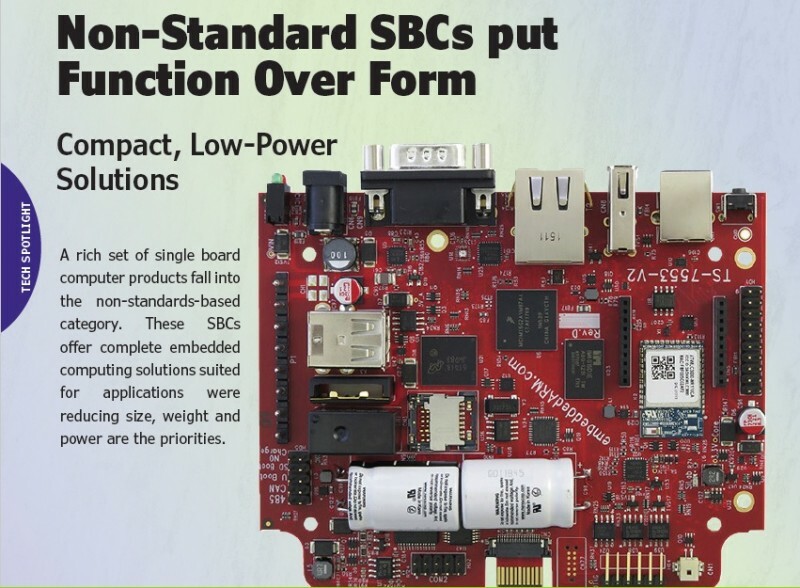 These SBCs offer complete embedded computing solutions suited for applications were reducing size, weight and power are the priorities. While standard form factor embedded computers provide a lot of value, many applications demand that form take priority over function. The majority of non-standard boards tend to be extremely compact, and well suited for size-constrained system designs. Although there’s little doubt that standard open-architecture board form factors continue to thrive across numerous embedded system applications, non-standard form factors free designers from the size and cost overheads associated with including a standard bus or interconnect architecture. In very small systems, often the size and volume of the board takes precedence over the need for standards. Instead the priority is on cramming as much functionality and compute density onto a single board solution. And because they tend to be literately “single board” solutions, there’s often no need to be compatible with multiple companion I/O boards. These non-standard boards seem to be targeting very different applications areas—areas where slot-card backplane or PC/104 stacks wouldn’t be practical. Non-standard boards come in a variety of shapes and sizes. Some follow de facto industry standard sizes like 3.5 inches, while others take a twist on existing standards—such as ATX, ITX or PC/104—to produce a “one off” implementation that takes some of the benefits of a standard form factor. There are also some company-specific “standard” form factors that offer an innovative new approach. 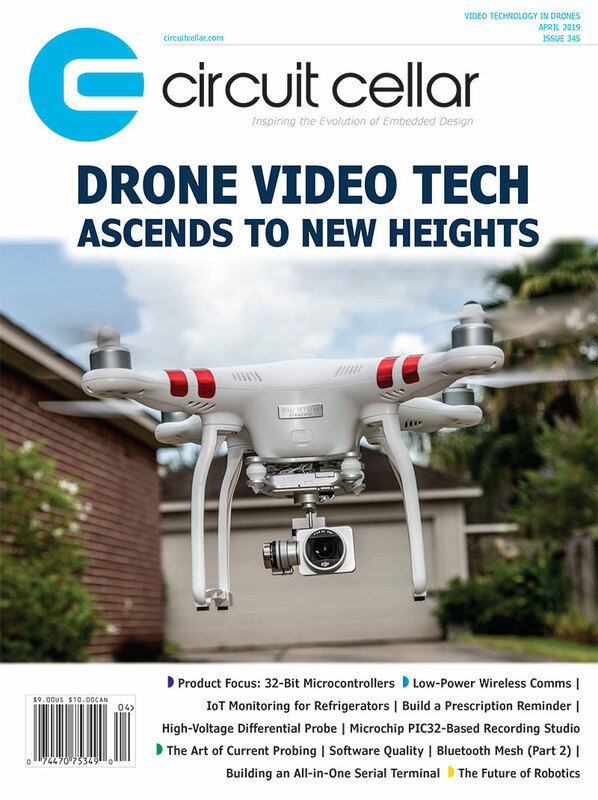 The focus in this article is on commercial SBCs for professional applications, not modules for hobbyist projects. In terms of sheer numbers of SBC products, Intel processor-based solutions tend to dominate. But in recent years, non-standard SBCs based on ARM embedded processors are increasing mindshare in the industry. In a recent example of an ARM-based solution, Technologic Systems in December starting shipping its newest SBC, the TS-7553-V2 (Photo 1). 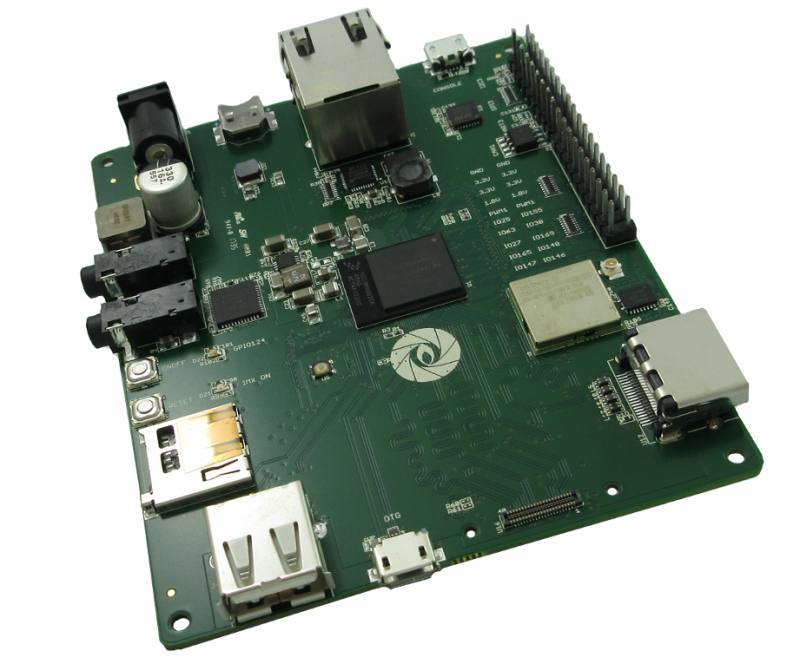 The board is developed around the NXP i.MX6 UltraLite, a high-performance processor family featuring an advanced implementation of a single ARM Cortex-A7 core, which operates at speeds up to 696 MHz. While able to support a wide range of embedded applications, the TS-7553-V2 was specifically designed to target the industrial Internet of Things (IIoT) sector. TS-7553-V2 is developed around the NXP i.MX6 UltraLite, an advanced implementation of a single ARM Cortex-A7 core, which operates at speeds up to 696 MHz. The board specifically targets the industrial Internet of Things (IIoT) sector. 2.4 GHz or sub 1 GHz mesh networks, allowing for gateway or node deployments. Both Digi and NimbleLink offer cellular radios for this socket, providing cellular connectivity for applications such as remote equipment monitoring and control. There is also the option for a cellular modem via a daughter card. This allows transmission of serial data via TCP, UDP or SMS over the cellular network. The TS-7553-V2 also includes an on board WiFi b/g/n and Bluetooth 4.0 option, providing even more connectivity. As a provider of design-to-order embedded boards, Gumstix comes at non-standard SBCs from a different perspective than traditional off-the-shelf SBC vendors. Gumstix’s latest ARM-related focus was its announcement in October about its adding the NXP Semiconductor SCM-i.MX 6Quad/6Dual Single Chip System Module (SCM) to the Geppetto D2O design library and the Gumstix Cobalt MC (Media Center) development board (Photo 2). The NXP SCM-i.MX 6D/Q [Dual, Quad] Core SCM combines the i.MX 6 quad- or dual-core applications processor, NXP MMPF0100 power management system, integrated flash memory, over 100 passives and up to 2 GB DDR2 Package-on-Package RAM into a single-chip solution. Photo 2 — The Gumstix Cobalt MC single board computer shows off some of the best multimedia features of the NXP SCM with CSI2 camera, native HDMI, and audio, and connects over Gbit Ethernet, Wi-Fi and Bluetooth. 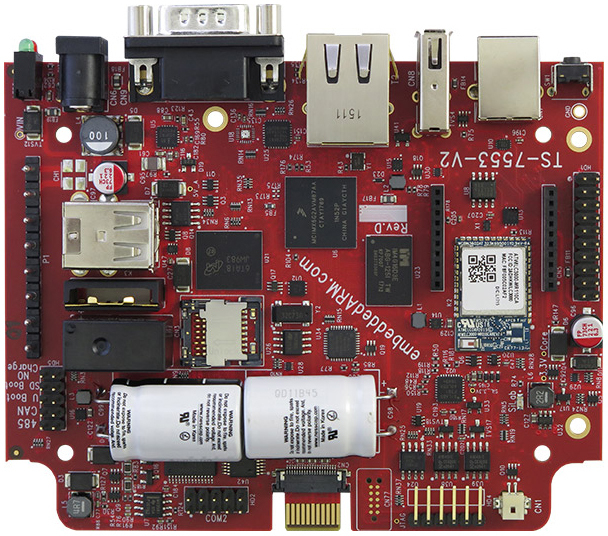 This entry was posted in Archive Article, CC Blog and tagged ARM, Atom, Celeron, embedded boards, EPIC, fanless SBC, harsh environment, PC/104, PCI-104, Rugged boards, SATA, SBC, USB by Circuit Cellar Staff.